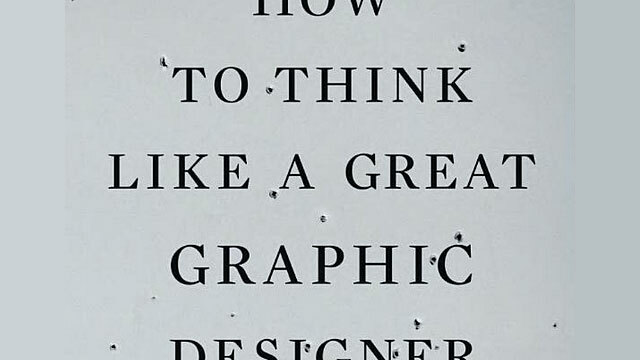 Despite its title, this book will not provide the reader with a recipe to think like some of the most accomplished graphic designers of our time. Consider it instead a glimpse into the minds of these revered masters, in order to understand the way they think and why. This book didn’t start out quite this way. Initially. I set out to create an anthology that did. in fact, attempt to uncover common denominators and describe the thought processes of those venerated in the design field. Many of my original questions smacked of superficiality, and even though 1 was miffed when I first received Steff Geissbuhler’s reply, I quickly came to my senses. After all, Steff had a point. Perhaps we do talk to ourselves, about ourselves, way too much. But given the fact that design is a fairly young field, is there anything inherently wrong with a robust internal dialogue? Identifying what constitutes a great mind, whether logical or magical or whimsical, is a necessarily subjective endeavor. Emulating a great mind is an even more complex proposition. There is no objective way to be great, let alone recommend an audience-tested, foolproof way to create with elegance, ambition, and artistry. If I was going to add to the discourse of an already cacophonous environment, I wanted to go beyond tactical quantifications of how designers work. Instead, I set out to engage in deeply psychological discussions in order to understand what motivates these practitioners to think and behave in the unique manner that they do. Design invests raw matter with what Bruce Mau calls “performativity”—it endows an inert material with a capacity to incite action. But in order to accomplish this most effectively, designers must conjure this power. This process is complicated. The fundamental backbone of any good design solution is measured not only by what motivates an audience to think in a particular way, but what inspires them to feel a response. Many of the designers interviewed in this book describe design as a problem-solving activity, yet it’s clear that these designers do far more than that. Despite the obvious similarities, there is one trait shared by each and every person in this group of designers: high levels of empathy. Their sensitivity has given them the ability to logically, poetically, and telegraphically transfer ideas from one mind to another. It imbues the talented designer with a wizardry of sorts, an uncanny ability to create a message and a purity of expression that cuts through the modern-day chaos of sensory overload. This is the remarkable power every designer featured in this book has in abundance. 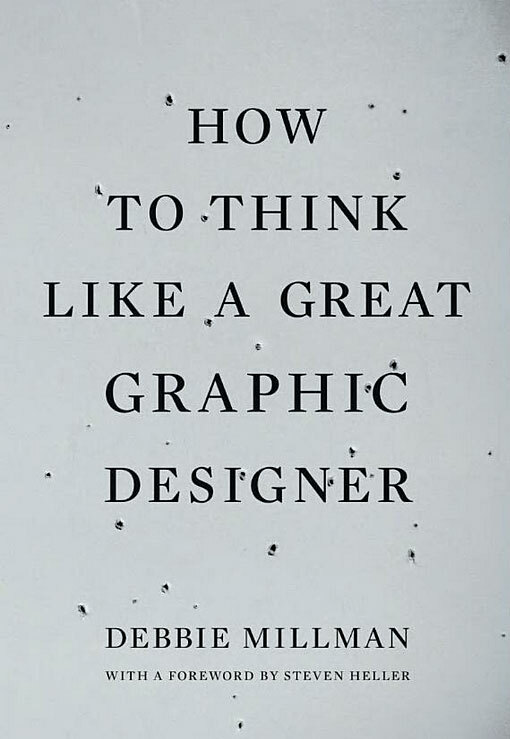 In my inter- view with him, Milton Glaser observed, “You con- vey your ideas by the authenticity of your being.” Throughout these pages, there are a great many masters who offer ideas and wisdom through their authenticity. Ultimately, the conversations contained in this book reveal how designers think and view the world, but they are also a testament to how and why great designers are able to create the extraordinary work that they do.